EBITDA (earnings before interest, taxes, depreciation, and amortisation) profit for the year was £414,192. After interest, depreciation and the net impact of other items, the historical surplus for the year after taxation was £1,967. The Club – which is responsible for all professional and community cricket across the County of Kent – achieved a record gate receipt income for domestic fixtures. With an increase of £119,194, this marked the sixth consecutive year of an increase for domestic matches. Knockout stage appearances at Nottinghamshire and Worcestershire, along with a finalist appearance at Lord’s, the first in ten years, resulted in a total income from the Royal London One Day Cup of £123,000. In the Vitality Blast T20, growth was significantly driven by a home quarter final against Lancashire. During 2018, the Club’s non-match day income also grew. As well as hosting two concerts at the Spitfire Ground, St Lawrence in Canterbury, over 6,000 people attended Kent Cricket’s annual Fireworks Evening. Turnover from the Club’s highly regarded physiotherapy business, St. Lawrence Clinic, also grew year on year whilst the Club invested over £700,000 in community and schools cricket across the County of Kent. 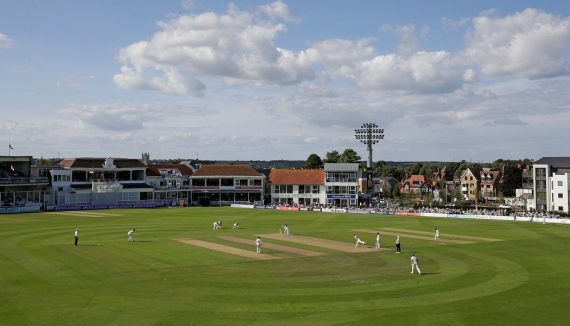 Kent Cricket Chief Executive Officer, Simon Storey, said: “Our 2018 results demonstrate the continued progress that the Club is making on and off the field. “It is crucial that we continue to focus on delivering the long term financial sustainability that is needed to underpin our cricketing ambitions. “It’s great to see that the on-field success of our professional Men’s team has had a direct correlation to improved finances, through gate receipts and prize money payments. “The fact that this has been reinforced by continued growth in our events business is also pleasing. Meanwhile, Women and Girls’ cricket and our community cricket programmes continue to flourish across the County and provide a strong platform for future growth. “Our financial performance is testament the work of a growing number of supporters, members, commercial partners and volunteers who continue to support us. “I would also like to thank every member of the Kent Cricket staff, both on and off the field, for their continued efforts and commitment to raising standards at Kent Cricket in everything we do. The Club’s AGM will be held at 7pm on Monday 1st April at The Spitfire Ground, St Lawrence, Canterbury. This entry was posted	on Tuesday, March 26th, 2019 at 11:00 am	and is filed under Cricket, Featured. You can follow any responses to this entry through the RSS 2.0 feed. Both comments and pings are currently closed.